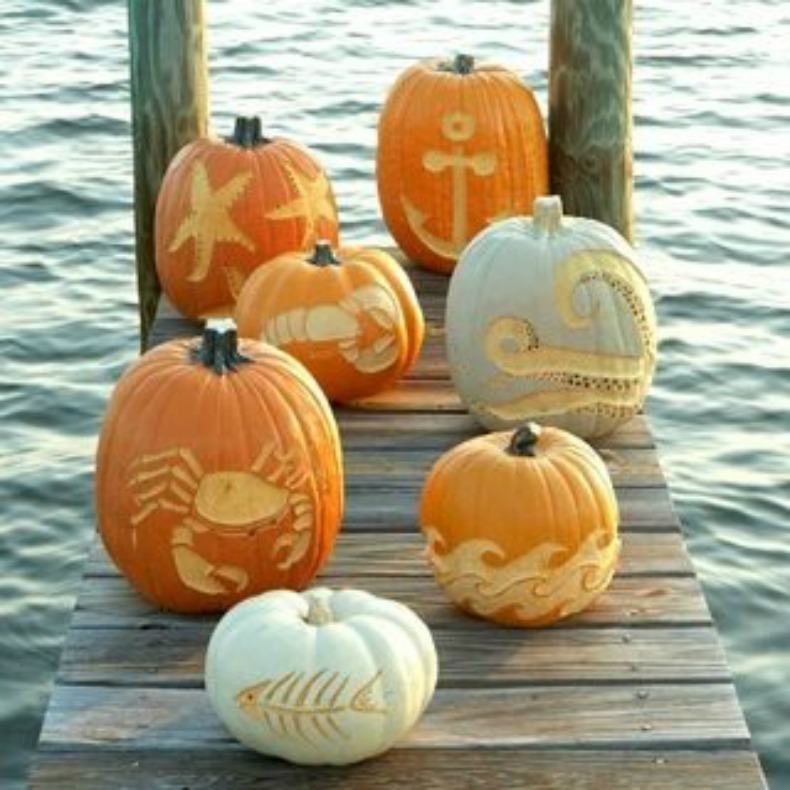 Our design crew has found these great stylish ideas for your coastal Halloween decor. For those of you that want minimal Halloween decorations but still want to show some holiday spirit, try sitting a pumpkin in a bookcase or shelf among your seashells. One pumpkin placed just right can add a touch of seasonal flavor to your room. 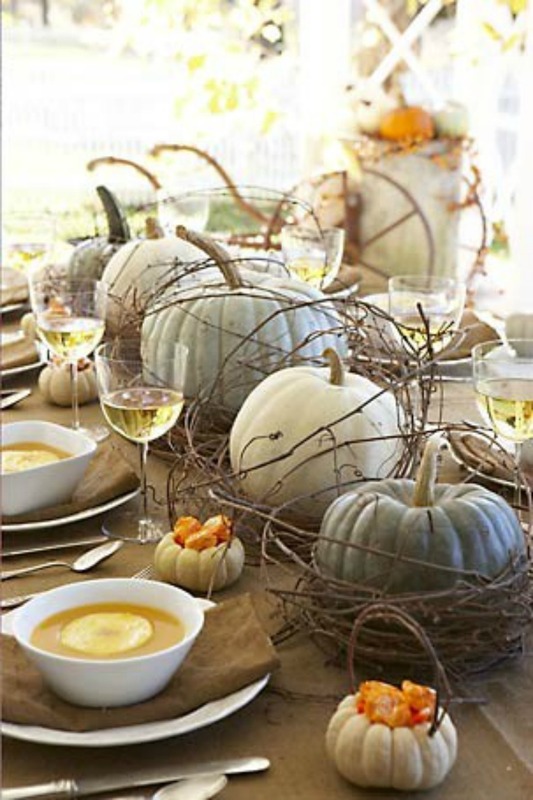 Mix it up with some white and gray pumpkins or gourds down the center of your dining table. Throw in a little curly willow or vines and you will have an elegant coastal fall display for your holiday dinner party. Carving pumpkins has taken on a whole new meaning. Carving the traditional jack o' lantern on Halloween has become an art. The possibilities are endless, here are some coastal carvings we think are simply brilliant. 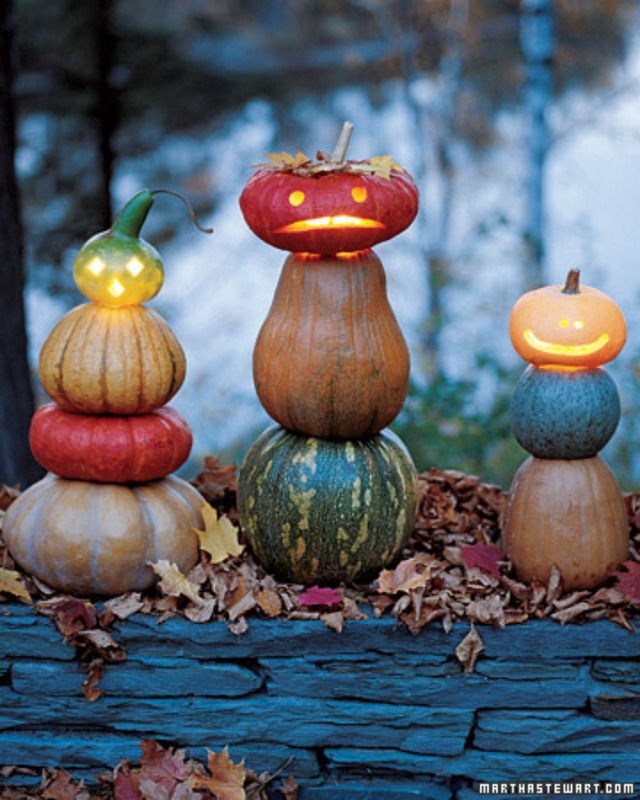 Maybe carving pumpkins is not your thing, stack a grouping of mixed pumpkins and gourds to create a festive fall entrance to your beach house. Grouping pumpkins, gourds and squash near your front door shows your in the spirit of the holiday while keeping it simple. Try painting a message on one to welcome your guests. 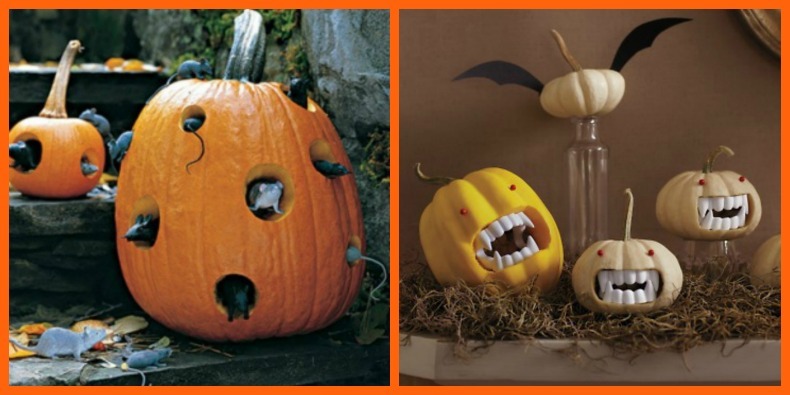 If you really want to have some fun with your Halloween decorations try drilling holes in your pumpkin and placing mice or rats coming out of the holes. Fake vampire teeth and these little pumpkins are adorable and fun to make. These are sure to be a hit with the kids. Pumpkin sitting on coastal book shelf. 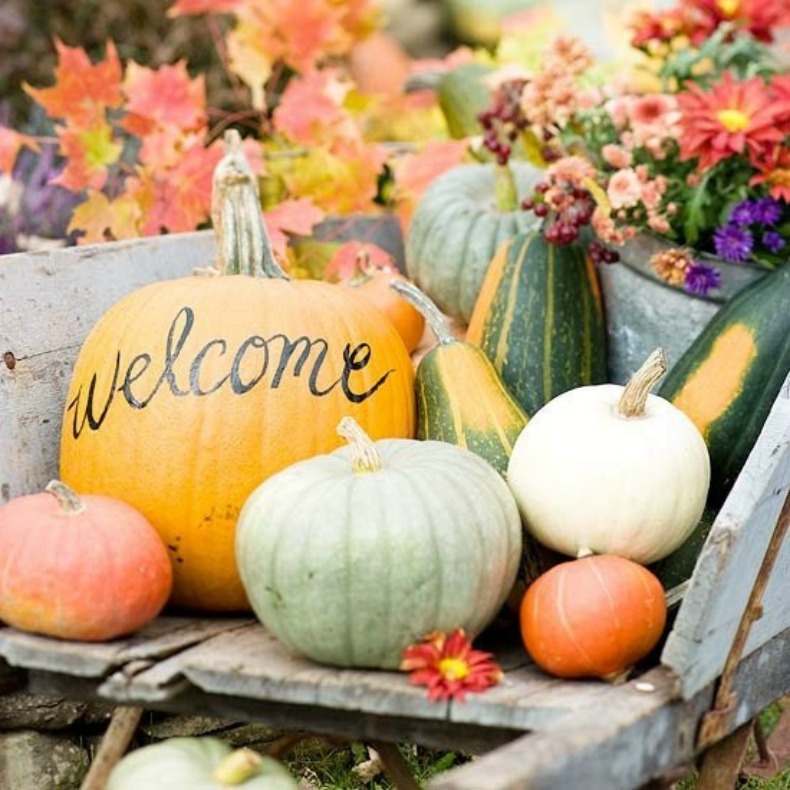 Grouping of pumpkins and gourds with welcome. Little pumpkins with vampire teeth.